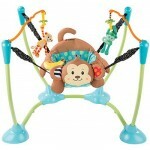 Wholesale Baby, Kids Items Buy in Bulk at wholesale price! D&W Sourceall, Inc. is a one-stop-shop for all of your wholesale baby item needs. As a national wholesale distributor, we know what products sell and what products don't. We've carefully selected our line of wholesale baby items to include products that perform well in a gift shop or baby store setting. Many of our items come in retail-friendly packaging, such as displays, blister cards, and peggable bags. You can trust us to help you stretch your dollar and purchase more. Baby King Shock Guards. 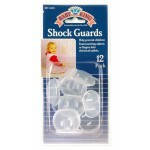 This item is a great Kid protector from Plugs. Helps prevent children f.. 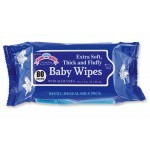 Extra soft, thick and fluffy wholesale baby wipes. The wipes are alcohol free and gentle enough on y.. 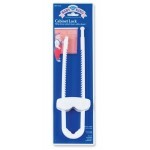 Plastic cabinet locks for any house hold with children. What a better way to keep out the kids from .. Flexible Digital Thermometer with case. This thermometer is fast, reliable and beeps when ready. It ..
What a great way to treat your baby with a soft silicone pacifier. Before initial use sterilize in b..